Visiting Notre-Dame on the day that we landed in Paris was a great way to kick-off our trip to France…and a great place to take refuge from a brief rainstorm. 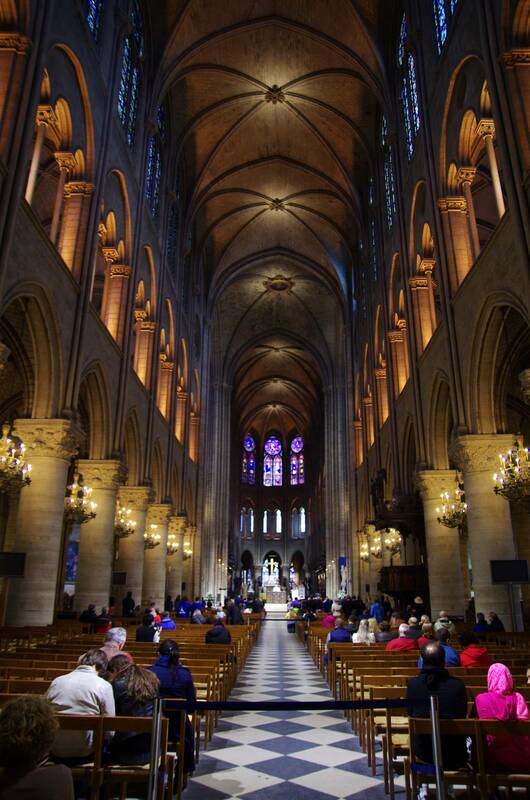 Cathédrale Notre-Dame de Paris (Our Lady of Paris in French) was every bit as beautiful inside as I had hoped it would be. 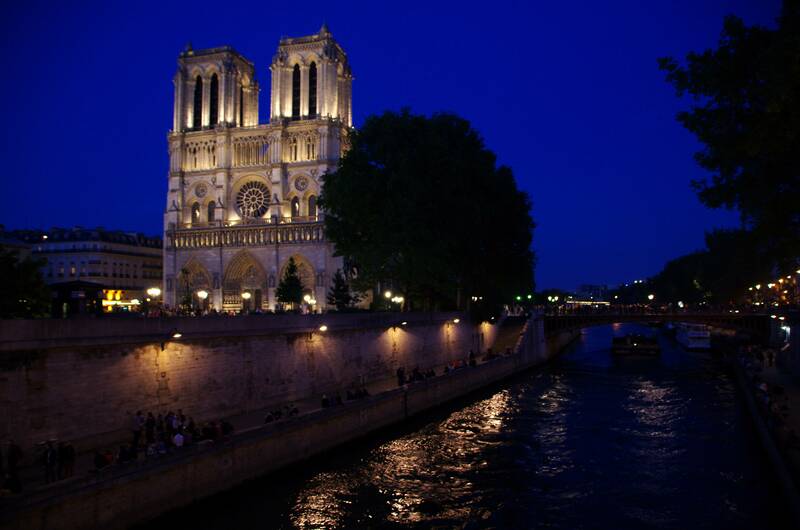 Notre-Dame is on the eastern half of Île de la Cité, and is a great example of French Gothic architecture. 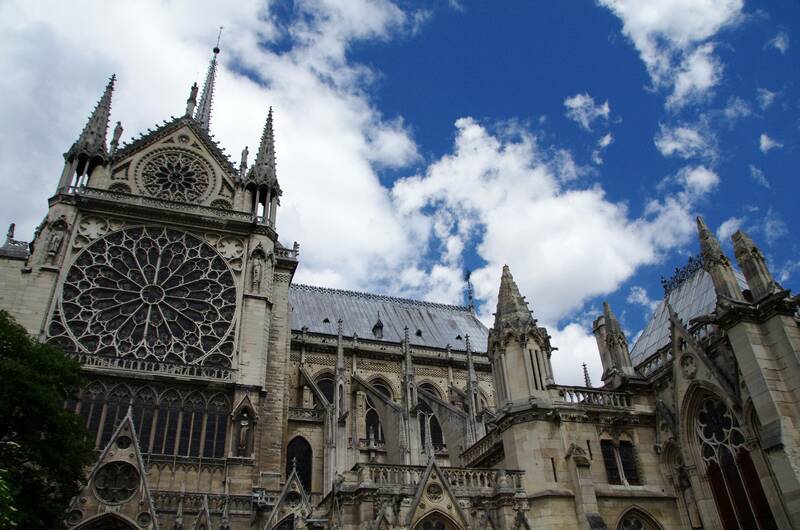 Notre-Dame’s cornerstone was laid in 1163, and construction was completed during 1345, though it was damaged, restored, and updated many times throughout the years. 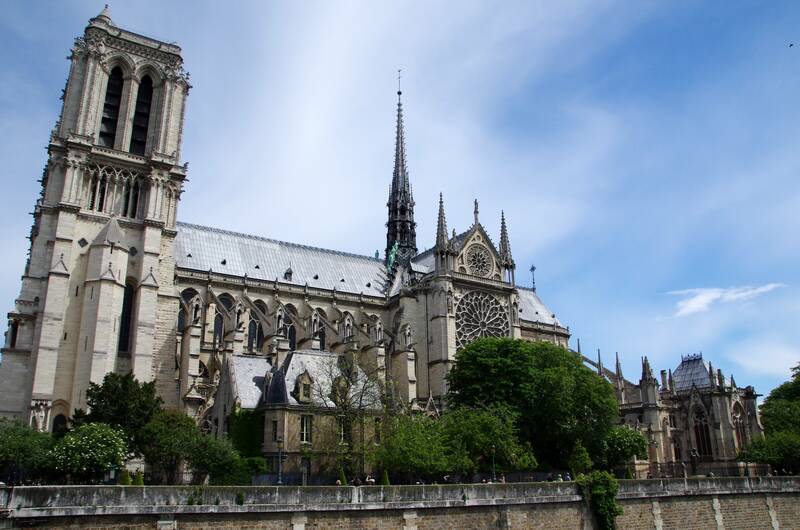 It was one of the first churches built with flying buttresses as supports. 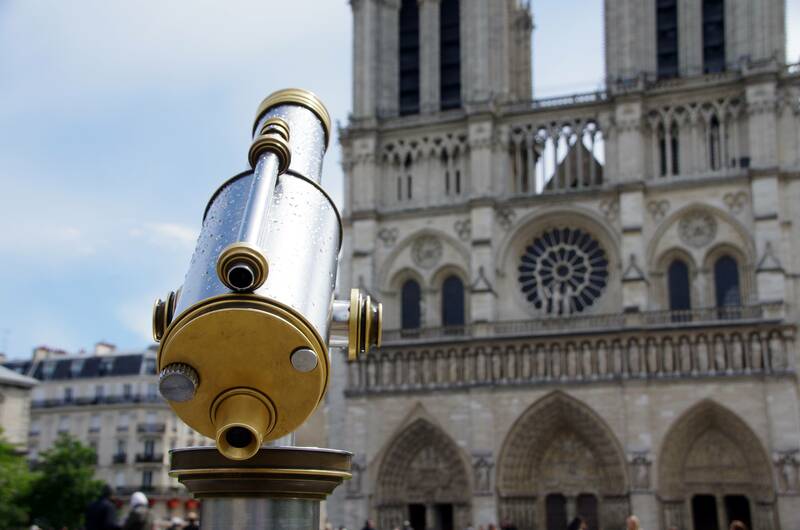 It was designated a Monument Historique in 1862. 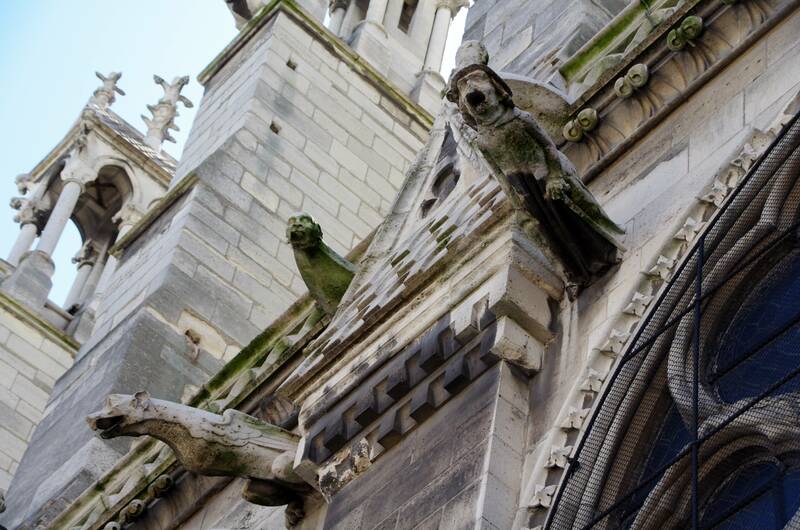 Fun fact: much of the outside of the cathedral, including the gargoyles and chimeras were painted in vivid colors at one point in time, though all of the paint has since worn off. 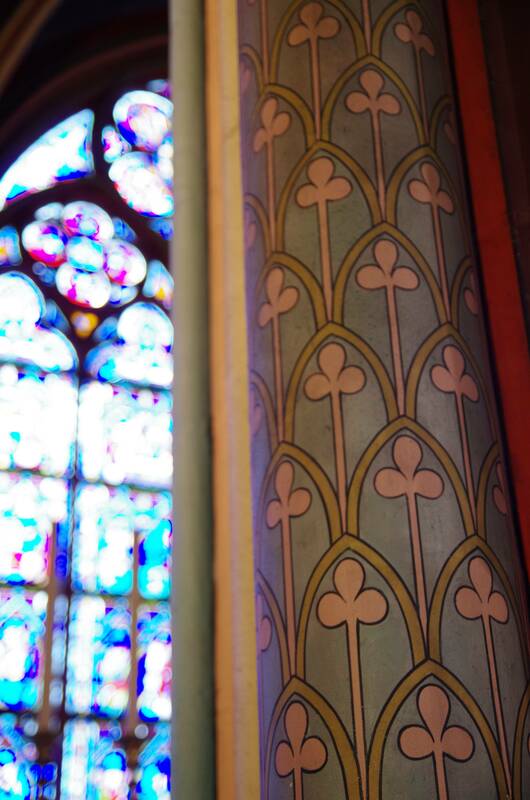 In addition to the beauty of the architecture itself, I also enjoyed looking at the many pieces of art that are housed within the cathedral’s walls. The first photo is of a portion of the south choir screen. 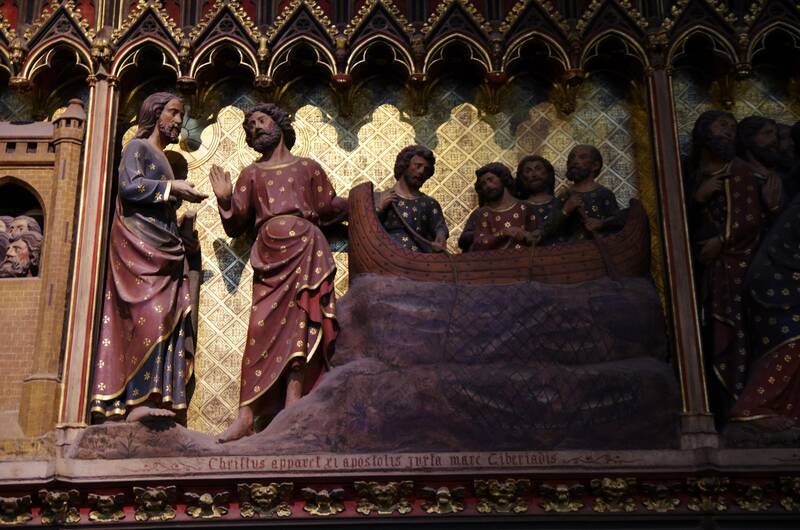 It was by Pierre de Chelles, Jean Ravy and Jean Le Bouteiller between 1300 and 1350, and each of its nine panels depict Jesus’ after His resurrection. Eugène Viollet-le-Duc painted the screen during the 1800s. 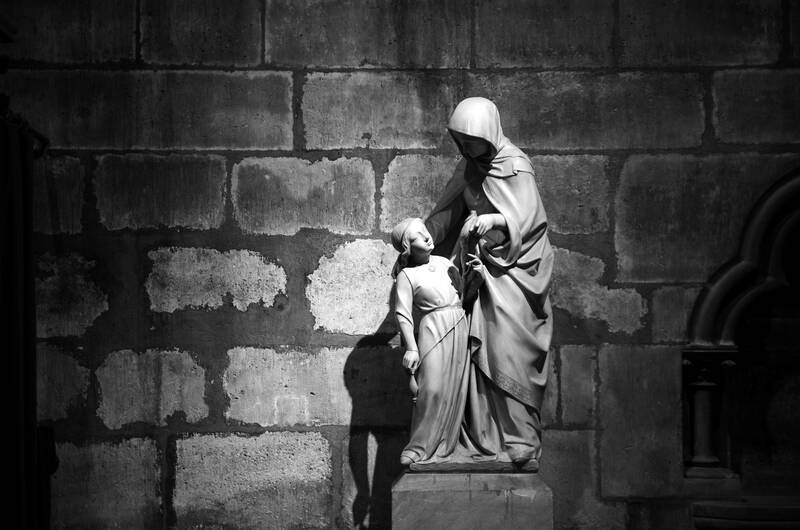 I could not find any information on the statue in the second photograph, though I think it is safe to assume that it is Jesus and Mary. 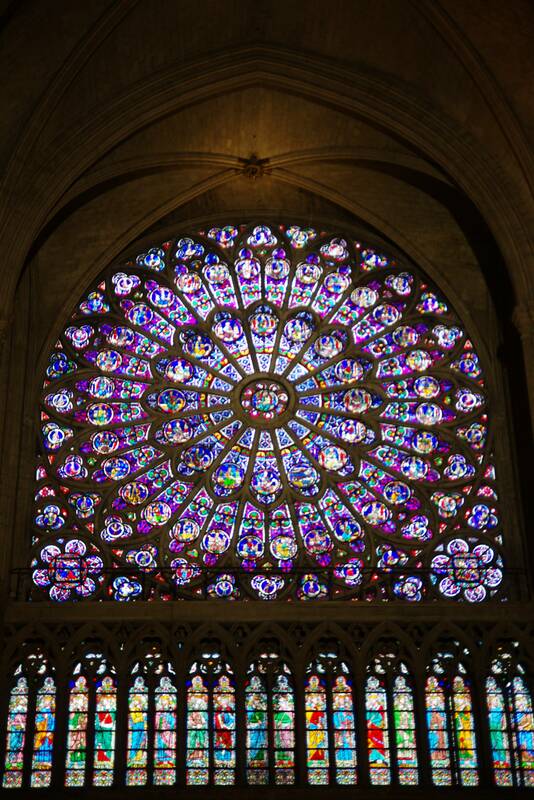 The cathedral was every bit as pretty on the outside as it was the inside. 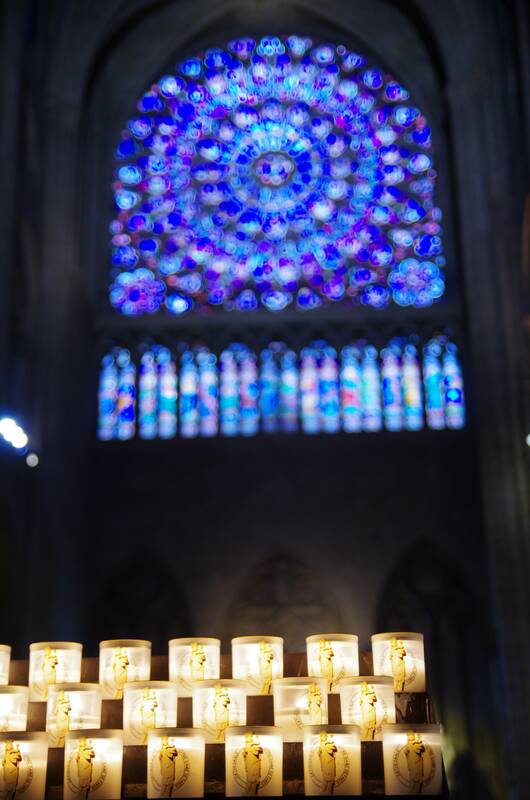 The next two photographs are of the south side of the cathedral. The south side was easier to shoot than the north side because a park & the Siene run along the south side (the north side is adjacent to a street and other buildings). The first photograph was taken after our climb up the south tower, and the second photograph was taken before we went up into the tower. 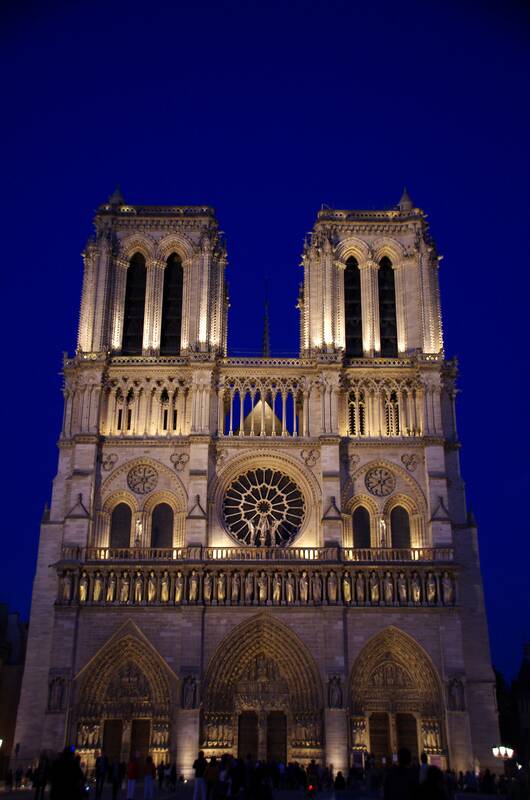 I took some photographs of Notre Dame prior to the sky turning completely dark for the night — during the time between evening and night when the sky is a gorgeous, deep shade of blue (also referred to as blue hour). 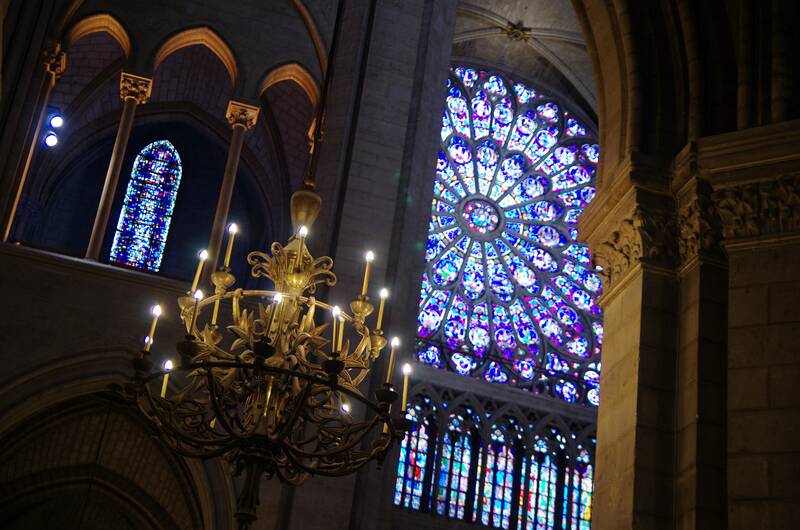 This is my favorite time of day to take photographs, and these two of Notre-Dame are among my favorites from our trip. 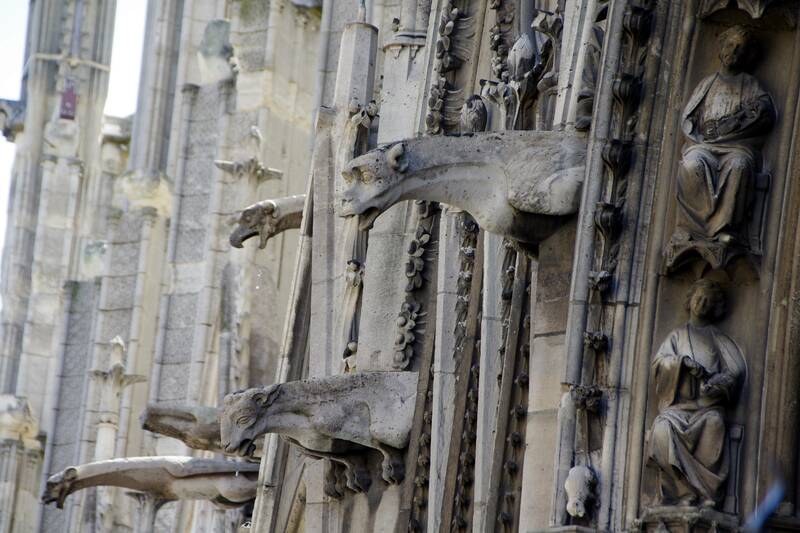 During our trip I learned (by witnessing it first-hand) that gargoyles actually serve a purpose beyond being neat to look at. 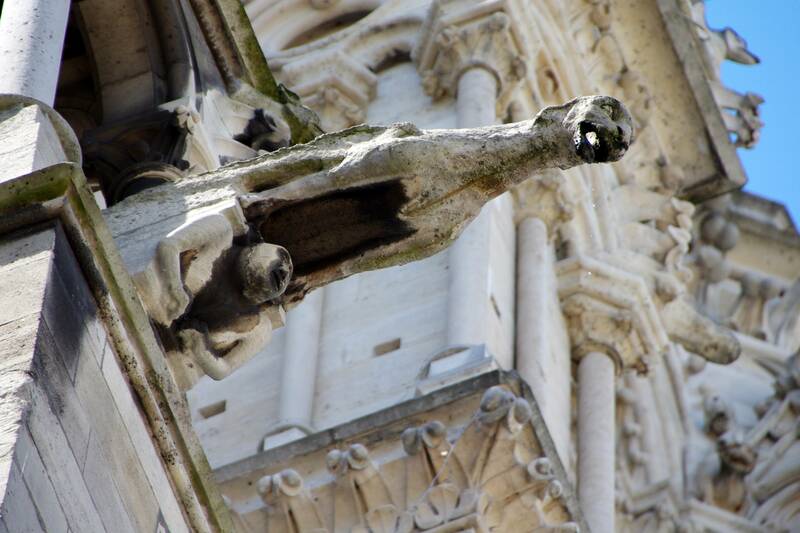 They were built and installed to guide water as it flows off of the cathedral, much like our modern day rain gutters (only WAY more aesthetically pleasing). You can see the hole that water flows through, along with a few droplets of water in the next photograph. 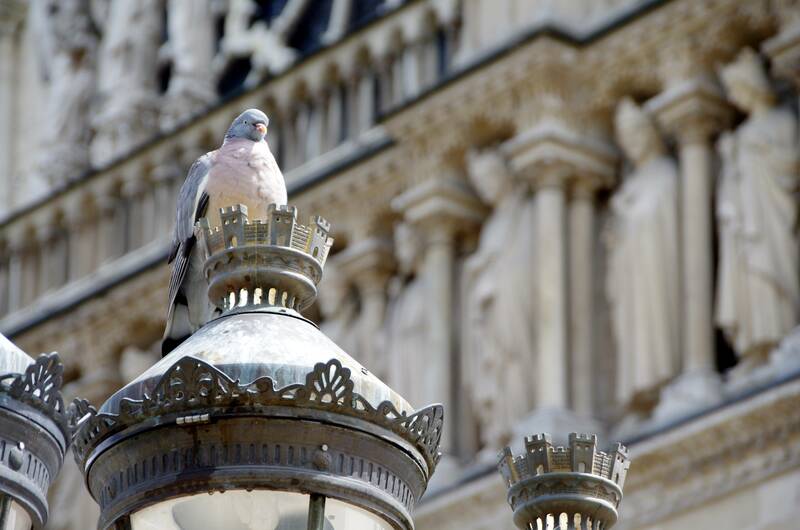 Whenever the opportunity arises, I will always take advantage of the chance to shoot a shallow-depth-of-field photograph with a pigeon or a viewing-scope in the foreground and something interesting in the background. 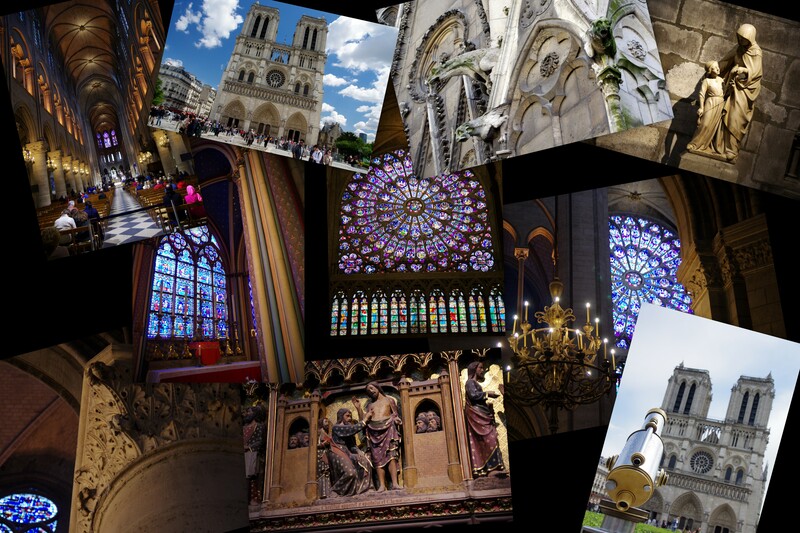 I was given the opportunity to take one of each while we were at Notre Dame.